Bill Handley is well known for making maths fun! 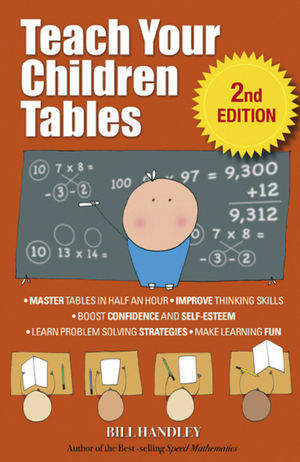 The first edition of Teach Your Children Tables challenged over 20000 readers -- and Bill has been inundated with letters of thanks since from parents whose children have quickly become proficient in maths and problem solving. This not only pleases their teachers but does wonders for a child's self-esteem. In this new, fully revised edition, rewritten for clearer understanding, Bill expands the sections on explaining multiplication to young children, on problem solving, and the correlation between the multiplication method and subtraction. Bill Handley is an internationally recognised authority on study methods and mathematics, based in Melbourne. He is the author of many best-selling titles, including Teach Your Children Tables and Speed Maths for Kids.